Before she became the nineteenth century’s greatest heroine, before he had written a word of Madame Bovary, Florence Nightingale and Gustave Flaubert traveled down the Nile at the same time in 1850. But where history would have these two figures float right by each other, the award-winning writer Enid Shomer brings them together to ignite a passionate friendship that alters both their destinies. Shomer, whose writing The New York Times has praised as “beautifully cadenced, and surprising in its imaginative reach,” brings to life the opu­lent tapestry of mid-nineteenth-century Egypt as the unlikely soul mates come together to share their darkest torments and most fervent hopes. 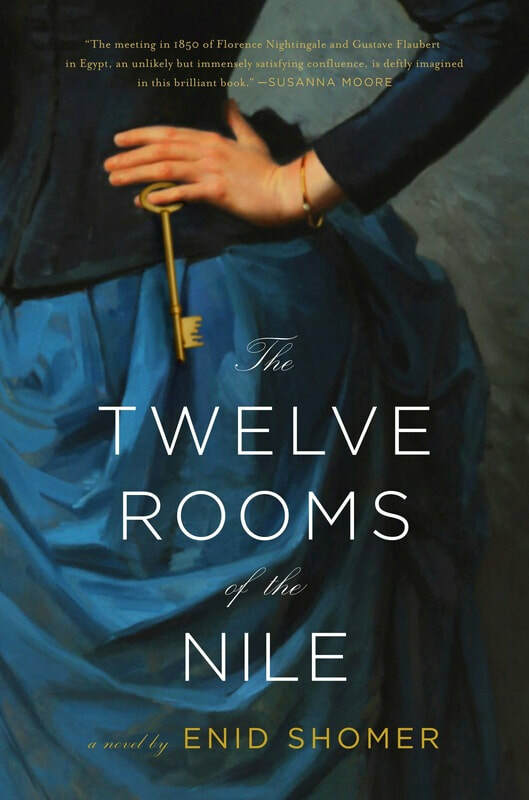 “The meeting in 1850 of Florence Nightingale and Gustave Flaubert in Egypt, an unlikely but immensely satisfying confluence, is deftly imagined in this brilliant book.